Xiaomi Black Shark, The gaming smartphone will be launch soon and will be available after its launch in China. First gaming smartphone flagship , Xiaomi seems ready for a global launch of the Black Shark. recently a successor to the Black Shark was certified in China suggesting that an upgraded variant is coming. company’s global version has gone live, teasing an upcoming international launch. The new global Black Shark website displays word a Sharks Approaching and Unleashing Soon. It does not provide more details about the Black Shark. The phone will be finally setup outside of its home markets, while website provides interested users with a space to fill up their email address so that they receive notification about any update. Xiaomi Black Shark sports a 5.99 inch Full HD (1080*2160 pixel) display with 18:9 aspect ratio. it is powered by Qualcomm Snapdragon 845 chipset with Adreno 630 GPU. Phone will be available in 6/8GB of RAM and 64/128Gb of internal storage. 2- The priced will be EUR 450 (Approx Rs 38,407). 3- it will be available in Black Gray and Royal Blue Colors. and the selfie camera is 20 megapixel shooter with f/2.2. aperture. 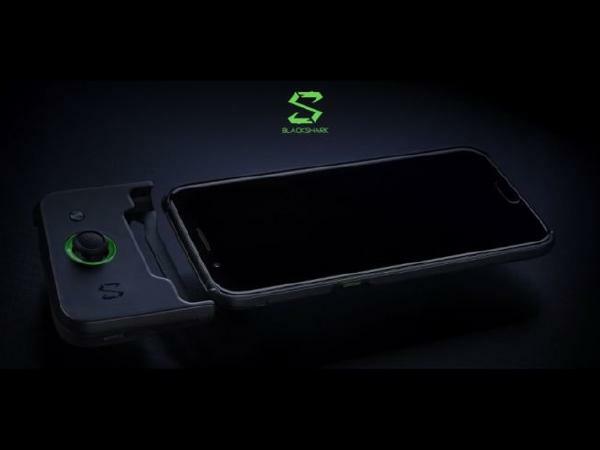 The smartphone also have dedicated liquid cooling technology to offer out of the box thermal management for an enhanced gaming experience. Razer Phone 2, has launched the gaming smartphone , said to offer up to 30 per cent better performance. Razer Phone 2 includes the latest flagship Qualcomm chipset and comes with thermal cooling for sustained performance. it continues to sport a 120 Hz display and 50% higher than the Razer Phone. The company also claims louder sound on the Razer Phone 2 with dual stereo speakers and Dolby Atoms.